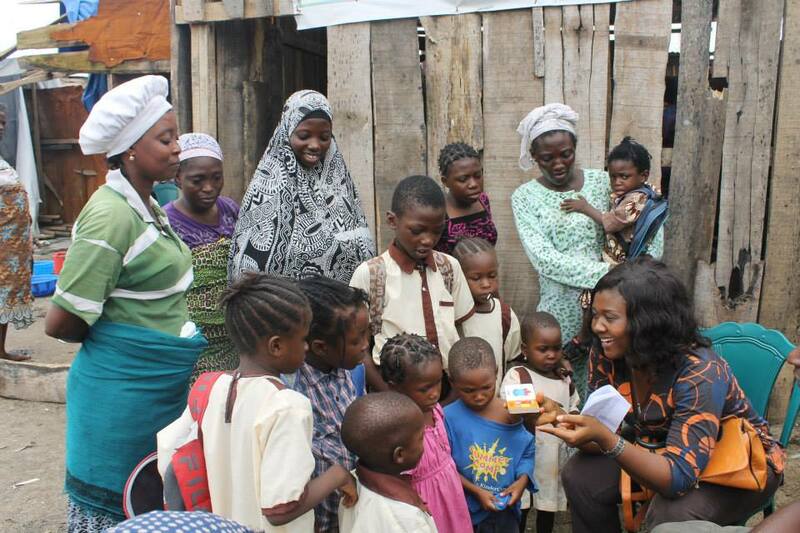 The 27th day of June 2014 wasn’t just an ordinary day for pupils and members of the Otto/Ilogbo extension slum community in Lagos Mainland Local Government Area in Lagos State. 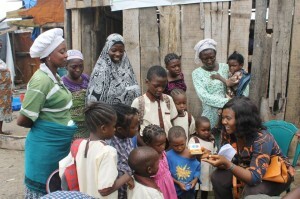 On that day, Spaces for Change staff and volunteers , led by its executive director, Victoria Ibezim-Ohaeri, donated learning resources and materials to the pupils of Young Leaders Academy (YLA), a ramshackle and hastily knocked-up shed that serves as the only nursery and primary school within the slum village. The school – a one-roomed hall, barely the size of a standard bedroom, with gaping slits and cracks in its wooden walls – is the equivalent of the luxurious Grange School for the slum children. Founded in July 2012 by Musibau De great Agbodemu, a slum dweller himself, YLA was borne out of his quest to ensure that the poorest slum dwellers had access to basic education. The narrow footpath leading to the school is marshy and littered with heaps of pungent refuse. Well over 90 pupils in the mornings and 50 in the evenings attend the slum school where subjects like English, Arithmetic, General Knowledge and computer appreciation, are taught. Dr. Deolu Olusodo, pioneer of Society for Love and Social Justice, offers free medical assistance to the pupils. When compared with standard schools, it is obvious the YLA needs to be expanded and equipped with learning materials for these kids who are the future of Nigeria’s tomorrow. YLA is a place where the poor and downtrodden can have a hope of education and a chance to make something out of life. During the visit, Spaces for Change executive director, Victoria Ohaeri read story books and nursery rhymes together with the children. She pored over colored story books the organization had brought for the pupils, showing them pictures of fruits and animals. Mothers of pupils trooped out to thank members of S4C for their generous donations.